IBK Innovation GmbH & Co.KG is an engineering company founded in 2006 with 15 employees. IBK is working for more than 20 years in the field of aviation / R&T and has gained strong competences in the fields of aerodynamic, structural mechanics, loads and aeroelasticity. IBK Innovation has been involved in several recent projects funded by the German or European government in aeronautical research. With regards to aircraft ditching the projects FTEG and ProWings included the development of a model-preprocessor for the tool ditch (developed by TUHH) performed by IBK and the application towards loads / stability calculations for the new Beluga. Apart from that there is currently an ongoing project funded by the German government (ZIM) which focuses on further applying the ditching simulation onto an industrial loads process. IBK's core activities are mainly focusing on the field of loads and aeroelasticity. This includes mainly R&D activities, but also, in the case of unconventional problems, it provides industrial support for loads-calculation. Apart from that IBK offers services in the field of aerodynamics and structural mechanics, in both cases analytical analysis, high fidelity simulations and tests are addressed. For the latter IBK operates a small lab suitable for prototype testing which includes a wind-tunnel developed in cooperation with the Erlangen University suitable to test roof-tiles. For the last 5 years IBK is addressing also the JTI-Cleansky by setting up consortia to address open calls for proposals. ITDs addressed here are mainly SWFA and GRA. In the latter IBK is also leading consortia with a comparable budget frame to SARAH as coordinator, thus managing the internal work and performing the external communication. In the frame of SARAH, IBK is leading WP1 as the project coordinator as well as WP4 activities. WP1 includes all activities regarding project management while WP4 addresses design relevant questions with regards to ditching for aircraft and helicopters. Within WP4 IBK, TUHH and TUBS will use the existing toolset to analyze and simulate the BWB and try to understand what are the problems and in which way they can be mitigated. With regards to the other topic of discussing a different use of existing configuration IBK will simulate a possible configuration based on an a double-decker usage using the existing toolset and derive design solutions to ensure a robust and safe aircraft design. Also, IBK in collaboration with TUHH, TUBS and AIRBUS Operations will enhance the lower-fidelity ditch tool with respect to an advanced, two-way coupled fluid-structure approach and environmental conditions. IBK has developed a tool-suite in recent activities which implements the ditch tool developed by TUHH and the aircraft loads calculation as well as the model generation upfront of the simulation. Within the project IBK will continue these activities and make sure the new tool-core (developed and improved by TUHH) can be used to simulate loads in an efficient process. IBK will therefore support TUHH in the above mentioned activities by enhancing the modeling algorithms developed by IBK in a way that they can deliver the input, which the updated ditch tool requires. Furthermore, IBK in collaboration with TUHH will assess environmental phenomena regarding the approach of the aircraft i.e. ground-clearance effects and studies for water impact in waves, the results of which will be exploited by IBK and AIRBUS Operations. Additionally, IBK in collaboration with TUHH aims to implement the ground effect for the wing and horizontal tail and to investigate the effect on the aircraft handling during the approach and ditching phase in WP3. These efforts will be supported from data delivered by results obtained from high-fidelity turbulent multiphase simulation methods for such configurations for a variety of distances from the free surface, flight paths and geometries. IBK with its expertise in aerodynamic simulations will support the specification of the test matrix and the generation of aerodynamic data to calibrate the implemented ground-aerodynamic model. In addition, IBK in collaboration with TUBS will perform high-fidelity FEM simulations to derive appropriate formulations and characterizations of structural deformation types for the fuselage and quantify their energy absorption capabilities. The European Aeronautics Science Network (EASN) is the Association of the European Academia active in Aeronautics research. Its main goal is to support the development and dissemination of new knowledge, innovation and breakthrough technologies through fundamental research in Aeronautics. It represents the Academia in ACARE and other EU forums and committees. EASN connects to more than 10,000 academic staff throughout Europe. EASN has agreements with industrial and SME organizations for the dissemination of knowledge and research related information. EASN-TIS, a Belgium-based SME with a branch office in Patras, Greece, is contractually linked to EASN with the exclusive role to represent and act on behalf of the EASN Association in collaborative projects. EASN-TIS acts as the permanent Secretariat of the EASN Association and is responsible for undertaking the EASN tasks in the frame of research projects, including project management, administration and communication. EASN-TIS has represented the EASN Association in several research projects in which it either leads or participates in both dissemination and management activities, e.g. SARISTU (Level 2 project), HAIC (Level 2 project), ENCOMB (Level 1 project), INMA (Level 1 project), IASS (Level 1 project), UMRIDA (Level 1 project), HIKARI (Level 1 project) and more. In this project, EASN-TIS will be involved in the dissemination and communication of the project results (WP7). The main objective is to diffuse the project outcomes, by spreading the knowledge incubated within the project to a wide audience from all sectors such as the Industry, SMEs, the Academia and research establishments, while at the same time not failing to reach the wider public throughout Europe. Additionally, due to the novelty research realized within the project, the necessary measures are required to be applied towards protecting the legitimate interests of the involved parties with respect to the background introduced to the project and the foreground developed. To this end, EASN-TIS will be responsible for the monitoring and safe-guarding of the IPRs of the parties involved. At the same time, EASN-TIS will support the Project Coordinator and the entire consortium with management and administrative tasks, such as the consolidation of management reports, the monitoring of expenses against budget allocations, the consolidation of financial summary sheets, etc. 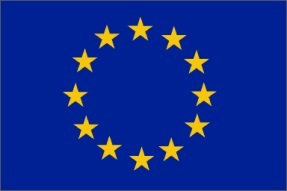 ; assisting individual partners in their administrative and financial issues, including the use of the European Commission’s Participant Portal and the correct submission of their financial reports; establishing and maintaining performance indicators with respect to the technical progress of the project and assess them with respect to the effort and budget consumptions; assisting in the logistics related to the preparation and implementation of project physical meetings; providing the technical means and support for on-line meetings, including consortium as well as work-package meetings. 1. A comprehensive marine industry software suite, containing all the necessary tools for free-surface marine hydrodynamics engineering. 2. A meshless multidisciplinary software suite, way ahead of state of the art CFD methods: SPH (SPH-flow) and Cartesian (WCCH) grid methods. In this project, Nextflow Software intends to adapt the software SPH-flow to ditching problems, and then to apply it to different configurations in order to improve the safety of aircraft and helicopters. Nextflow Software will provide the optimized software to the SARAH Consortium so as to conduct further studies with this software. CNR is the National Research Council of Italy, a public organization committed to carry out, promote, spread and transfer research activities in the main sectors of knowledge growth. CNR is structured in seven departments (Earth and environmental sciences; Bio-Agriculture and food; Biomedicine; Chemistry and Material technologies; Condensed Matter; Engineering, ICT, Energy and Transport; Human, social sciences and cultural heritage), 110 research institutes and about 4000 researchers. The institute involved in SARAH is CNR-INSEAN (Marine Technology Research Institute), which has strong competencies in the field of hydrodynamics in marine and maritime engineering, fluid-structure interaction and hydro-acoustics and propulsion. CNR-INSEAN develops computational tools and experimental setups in order to carry out the research work and to perform service/consultancy for industrial partners. Two CNR-INSEAN researchers have been named (in 2003 and 2013) “Georg Weinblum Memorial Lecturer” (sponsored in Germany by the Institut für Schiffbau of the University of Hamburg) in recognition of their contributions to the field of marine hydrodynamics. CNR-INSEAN has a long record of research projects funded by EU starting from the FP4 framework, by the European Defense Agency (EDA) and by the US Office of Naval Research. CNR-INSEAN will lead the WP5 activities within SARAH. In particular towards building datasets for the validation of the physical models and of the computational tools developed in the other WPs, two test-campaigns will be performed: the first one, focused on helicopters will be carried out at the test facilities available at ECN whereas the second one, focused on aircrafts, will be done at CNR-INSEAN. Hence, CNR-INSEAN will be responsible for the preparation and execution of the related tests. The aim will be to achieve experimental conditions which, besides being useful for validation purposes, are as much as possible representative of the actual ditching scenarios and of the resulting structural loading and response. CNR-INSEAN in collaboration with Dassault Aviation will develop lower-fidelity models based on a slenderbody approximation (2D+t) and a fully nonlinear potential flow approach accounting for complex flow phenomena, i.e. separation, ventilation, cavitation and suction, and include aircraft structural dynamics in a one-way approach. Developments will be used to improve the low-fidelity MLM method initiated within the EU SMAES project. CNR-INSEAN and ECN in collaboration with NextFlow and HydrOcean will adapt the (generic) coupling interface of the SPH-Flow software with a FEM solver to ditching purposes. Additional work is dedicated to the optimisation of the SPH-solver performance. The Hamburg University of Technology (TUHH) is an established academic institution providing education and research with a focus on engineering sciences. At present, the organization involves around 100 senior lecturers/professors, approximately 1.150 members of staff (amongst them 650 scientists) and an average of 6.600 students. TUHH has a highly-focused research profile in selected areas of expertise, two of them being naval architecture and aeronautics. The organization includes three naval architecture divisions with a strong international reputation, amongst them the Institute of Fluid Dynamics and Ship Theory (FDS). The FDS-Institute is committed to furthering the understanding and optimization of ships (resistance & propulsion, manoeuvring and sea-keeping) and general fluids-engineering devices. The institute carries out close research and development with ship yards and aircraft manufactures, model basins, system manufacturers, classification organizations as well as small to medium-sized suppliers in all areas of thermo-fluids engineering. It hosts two professorships and approximately 30 researchers and was continuously involved in numerous national and international research projects at fundamental and applied level over the last two decades. At present, 15 national and European projects on maritime hydrodynamics and aerodynamics covering a total of 30 research grants are performed. The Institute is equipped with excellent computing and experimental facilities, including a large low-speed wind tunnel, an own high-performance compute cluster with more than 760 cores and a GPU Cluster with 4 Terra Flops, access to national high-performance computing facilities with approximately 50.000 compute cores, a towing tank for experiments on ship performance and wave/structure interaction. The institute has a distinguished research profile for its development activities in the area of applied computational fluid dynamics at an industrial level. Accordingly, about 15 years of experience in the area of aircraft ditching and its computational modelling exists. The activity has been carried out with a strong industrial focus in cooperation with AIRBUS Operations GmbH. TUHH leads WP2 activities where in collaboration with IBK, TUBS and AIRBUS Operations they will enhance the lower-fidelity DITCH tool with respect to an advanced, two-way coupled fluid-structure approach and environmental conditions. Established high-fidelity tools will be utilized to perform detailed hydrodynamic load studies on deformable geometries as well as high-fidelity fluid-structure interaction studies. These studies will be fed back to an improved lower-fidelity two-way coupling approach. Moreover, TUHH will perform extensive parameter studies regarding the required spatial (axial, planar) and temporal resolution. The aim is to define quality assurance recommendations that guide the industrial user for a safe use of the ditch tool during the certification process. Results will formulate a basis for the exploitation efforts (WP6) of industrial partners and support handling and design for safer ditching studies (WP3, WP4). Also, TUHH in collaboration with IBK will assess environmental phenomena regarding the approach of the aircraft i.e. ground-clearance effects and studies for water impact in waves. Results will be exploited by IBK and AIRBUS Operations. CASA was the acronym of Construcciones Aeronauticas S.A. which was the largest aircraft manufacturer in Spain. CASA was founded by the outstanding entrepreneur José Ortiz Echagüe on the 3rd of March 1923. After a wide and successful trajectory as independent company, CASA merged with the European group EADS on the 2nd of December 1999. The activities of CASA continued within EADS in the Military Transport Aircraft Division (MTAD). In April 15th 2009 EADS-CASA was integrated into Airbus with the name of Airbus Military and later, in July 1st 2014, has been relocated in Military Aircraft division of Airbus Defence and Space. The Structural Dynamics and Aeroelasticity Department is a group of twenty engineers responsible of aeroelastic and dynamic aspects of aircraft certification. For the time being, the accumulated experience is related to military transport aircrafts, the European fighter and Airbus air-refueling derivatives actually in service or in certification phases. In addition this group deals with high velocity dynamic problems like crashworthiness, bird strike, blade loss, vulnerability, ditching and wheels up landing. CASA participated in the European funded research project CRASHWORTHINESS from 1993 to 1996. This project was instrumental in the validation of the numerical tools for simulation of impacts of aeronautical metallic structures and created a group of engineers at the European industry that worked together for many years in the subsequent research projects CRASURV (devoted to composites) and CRAHVI (devoted to High Velocity Impacts). Airbus Defence and Space has participated in European funded research project SMAES (Smart Aircraft in Emergency Situations) devoted to aircraft ditching. During the SMAES project Airbus Defence and Space derived an analytical expression of the pressure peak evolution for the ditching of rigid flat plates (this approach is called in-house “synthetic pressures”). This analytical expression provides the evolution of the peak pressure as a function of some initial condition parameters (impact speed and impact angle). These “synthetic pressures” can be applied to an explicit FE Model (i.e. VPS FE Model) to obtain the overall structural response and must be updated to include other relevant effects like panel curvature or panel flexibility. Within SARAH Airbus Defence and Space will introduce these effects in their analytical approach using as basis the tests that will be performed under WP5. Also, Airbus Defence and Space will explore different concepts (metallic, composite and hybrid (metallic and composite) devices designed and tested by researchers for energy absorbing on aircraft crashworthiness situations) in order to reduce aircraft loads. The idea here is to mainly use structural solutions by optimizing material in a way that the result is not an extra device to be implemented but part of the load-carrying structure. Airbus Defence and Space will introduce this shock absorbing concepts in their explicit FE Model and, using the simulation methods from WP2, they will provide guidelines for the design of these energy absorbers under ditching loadings. perform validation test for the deformable structures to be tested in WP5. The validation exercise consists of pre-tests simulations to verify the set-up and subsequent numerical simulations (for software and methods validation) using both, the high-fidelity SPH and the analytical approach. Airbus Group, which is the major aerospace company in Europe. The company is engaged in the development and manufacture of advanced high performance commercial transport aircraft and is recognized for its technological expertise in nearly all fields of aeronautical engineering. R&D capabilities of AIRBUS Operations GmbH cover all aspects of aircraft design: aerodynamics, aeroelastics, structures, weights, performances, operating costs, environmental aspects, airframe and systems development and integration. Recent examples for research projects, which are coordinated by Airbus Operations GmbH and are carried out in European Framework Programmes are (among others): SARISTU, TOICA, e-CAB, AFLoNext, and the CleanSky Joint Technology Initiative. Airbus Operations GmbH is particularly responsible for the development and the production of the major part of the fuselage including systems and passenger cabin, the vertical fin, the equipment of the wings and the final assembly of narrow-body aircraft (A320 family) and partly of the A380 and A350-XWB. The company’s workforce currently amounts to approx. 21.000, roughly half of it working in the Airbus Operations GmbH headquarter in Hamburg. To proof the required level of safety, each aircraft type has to be certified according the certification specifications. A dedicated paragraph for ditching exists and has been amended by a Certification review item recently. It is the task of a Dedicated Certification Specialist to show compliance versus Airworthiness Authorities. A-D leads WP6 activities of the project, which include the industrial exploitation of results achieved in WP2-WP4 for aircrafts and helicopters and will also deliver models to WP2 and WP3 of necessary granularity. The Technische Universität “Carolo-Wilhelmina” of Braunschweig was founded in 1745. It comprises 6 departments and offers a wide range of course programs, from Bachelor Degree up to Doctorate of Philosophy (PhD). In the 2014/2015 winter semester over 18,000 students enrolled in 71 different degree programs. About 6,000 staff members work on research, teaching, technics and administration. The personnel involved in this project belong to the Institute of Aircraft Design and Lightweight Structures (IFL), which is part of the Department of Mechanical Engineering. The IFL is comprised of 5 academic members, around 15 Ph.D. students, and several Research Associates. The IFL is led by Prof. Peter Horst and is engaged in design and experimental investigations of materials (metal and composites), aircrafts and aircraft components and has long term experience in the field of numerical simulation and in the field of development of simulation methods for structural and aeroelastic analysis. The institute has a strong link to industry and has been and is currently involved in many nationally funded projects (e.g. CEC: BE2040, ADMIRE, ADPRIMAS, SMAAC, TANGO, MOB, VELA, DaToN, MAXXIMUS; German Aeronautics Programme “LuFo”: MUNA, ComFlite, ProWings, AeroStruct). The institute for aircraft design and lightweight structures (IFL) has the necessary infrastructure in order to implement the related work, concentrating on the numerical modeling and the performance of numerical simulations. The IFL has developed in the last 14 years the software environment for the multidisciplinary coupling of analysis codes, which will be the basis of the two-way coupled fluid-structure-interaction approach to simulate the ditching process with high fidelity methods in SARAH. Since 20 years the IFL develops the design code PrADO for the preliminary aircraft design especially for innovative aircraft configurations, e.g. blended wing body configurations. Part of the PrADO code is the parametric generation of structural finite element models on a global level, which will serve as starting point for the planned structural model generation in SARAH. ECN is a French engineering school delivering Masters and PhD degrees in various fields of research. Fluid mechanics is one of its specialties through the LHEEA laboratory, which is a JRU (Joint Research Unit) between ECN and the Centre National de la Recherche Scientifique (CNRS). The LHEEA lab is internationally recognized for its complementary experimental / numerical expertise in offshore and naval hydrodynamics, and more generally in all engineering topics involving free surface flows interacting with complex structures. Currently, about 120 persons are working in the LHEEA lab including PhD students and post-doctorate contracts. The LHEEA lab has some large-scale experimental facilities (https://www.ec-nantes.fr/research-facilities/ocean-test-facilities/ocean-test-facilities-182847.kjsp?RH=1488460538830). The lab operates a large towing tank (148 m x 5 m x 3 m) equipped with wave generators, and one of the largest hydrodynamic and ocean engineering wave tank in Europe (50 m x 30 m x 5 m and equipped with 48 independent wave generator paddles). The lab also operates a full scale test site for testing marine renewable energy converters (SEM-REV), which is the first European site for multi-technology offshore testing that is connected to the electric network (https://www.ec-nantes.fr/research-facilities/sem-rev-offshore-test-site/sem-rev-offshore-test-site-153194.kjsp?RH=1488460538830). The LHEEA lab has a strong experience in the development of numerical modelling, started in the beginning of the 80's. It successively developed various efficient numerical tools dedicated to marine and free surface application based on a wide variety of numerical methods (Boundary-Element, Finite-Difference, Finite-Volume, Spectral, Volume-Of-Fluid and more recently SPH) methods. About 40 researchers are working in the LHEEA lab performing research related to these numerical tools. The LHEEA lab has also an extensive experience in parallel computing (HPC), with access to the supercalculation centre of ECN equipped with a cluster of 6000 cores, and through several tier-1 (GENCI) and tier-0 (PRACE) projects. The growing demand for industrial fluid dynamic studies requiring dedicated numerical tools led to the creation of HydrOcean (in 2007) as a spin-off SME of the LHEEA lab dedicated to industrial valorization and exploitation of its in-house numerical tools, followed by the recent creation of NextFlow Software (in 2015). The LHEEA lab is also at the origin of FineMARINE and SPH-Flow (commercial software), and NEMOH and HOS-Ocean (open source software), all dedicated to free-surface flows. parallel computing on up to thousands of CPU cores. Within SARAH, ECN and CNR-INSEAN in collaboration with NextFlow and HydrOcean will adapt the (generic) coupling interface of the SPH-Flow software with a FEM solver to ditching purposes. Additional work is dedicated to the optimisation of the SPH-solver performance. In addition, within WP5 towards building datasets for the validation of the physical models and of the computational tools developed in the other WPs, two test-campaigns will be performed: the first one, focused on helicopters will be carried out at the test facilities available at ECN. Hence, ECN will be responsible for the preparation and execution of the related tests. The aim will be to achieve experimental conditions which, besides being useful for validation purposes, are as much as possible representative of the actual ditching scenarios and of the resulting structural loading and response. HydrOcean was created in 2007 in order to develop software and services allowing the evaluation and optimisation of ship performances. HydrOcean is issued from the Fluid Mechanics Laboratory of Ecole Centrale Nantes, France (ECN), one of the most important and famous research teams in numerical hydrodynamics. The partnership that has been set up aims at promoting the most innovative research tools developed in this laboratory and applying them to industrial projects with the shortest time period, allowing the use of the most accurate solvers and a technical differentiation with competitors using standard commercial solvers with huge license costs. Nine years after its creation, HydrOcean has gained the confidence of most of the shipyards, naval architects and ship owners in France and Europe, and started its international development with Bureau Veritas, of which it has become a subsidiary in 2015. HydrOcean is mainly involved in the marine fields (naval, offshore, yacht and marine renewable energies industries) but also applies its tools and provides expertise for specific problems like ditching of helicopters. Consultancy services with the use of various numerical tools: potential solvers, free surface Navier-Stokes solvers, particle methods, high dynamic fluid/structure interaction, etc. Software licensing with training and support for companies who prefer to have instant access to the numerical tools and an in house team. R&D projects for clients wanting to setup, develop specific tools and innovative software. HydrOcean, through its strong specific background experience on the hydrodynamic impacts leads, WP3 activities in the project. These phenomena may induce high pressures concentrated both in space and time, and strongly nonlinear free surface effects. Their capture requires adapted methods like SPH (Smooth Particle Hydrodynamics), which is a meshless Lagrangian method. HydrOcean uses the SPH-flow software to simulate any hydrodynamic impact: drop tests of bodies in water, slamming of ships, impact of waves on walls, etc. This code is intensely developed by ECN and NextFlow Software. It has been validated on many cases, including the pressure fields, within R&D projects. HydrOcean has applied SPH-flow to the ditching of helicopters through a collaboration with Airbus Helicopters. The results have been used to verify and calibrate the low fidelity software Ditcher of Airbus Helicopters. This software is very fast as it solves the water entry problem according to the added mass concept, based on the potential flow theory. HydrOcean is the developer of the version 4 of Ditcher for Airbus Helicopters. It includes a nonlinear regular wave model (Rienecker & Fenton) and a capability of displacement of the floats. In the numerical simulations of ditching of helicopters performed with SPH-flow, the floats were modelled as rigid. But the response of the helicopter is expected to be strongly influenced by the deformations of the floats. It turns out that SPH-flow is coupled with some Finite Element codes, Abaqus in particular. This coupling has been validated on several academic cases, including very flexible structures. The primary aim of HydrOcean in the SARAH project is to apply this fluidstructure coupling to the simulation of ditching impacts of helicopters with realistic deformable floats. The high fidelity character of these simulations will allow to derive more reliable recommendations in terms of safety. Airbus Helicopters, formerly Eurocopter, is a division of Airbus Group, a global leader in aeronautics, space and related services. The company's mission is to provide the most efficient civil and military helicopter solutions to its customers who serve, protect, save lives and safely carry passengers in highly demanding environments. Eurocopter Group was created in 1992 with the merger of the rotorcraft divisions of Aerospatiale (France) and Deutsche Aerospace (Germany). In January 2014, the company was rebranded Airbus Helicopters, opening a new chapter in its history. By a process of successive integrations, Airbus Helicopters has become the world-leading rotorcraft manufacturer with a turnover of 6.5 billion euros. Flying more than 3 million flight hours per year, the company’s in-service fleet includes some 12,000 helicopters operated by more than 3,000 customers in 152 countries. Its range of civil and military helicopters is the world’s largest, with the civil fleet having achieved a 44 percent market share in the civil and parapublic sectors. Airbus Helicopters’ international presence is marked by its 29 customer centers and participations and its worldwide network of service centers, training facilities, distributors and certified agents. The company employs approximately 23,000 people worldwide. Within SARAH Airbus Helicopters will enhance the lower-fidelity Ditcher software to account for floatation device behaviour and impact loads. Furthermore, the coupling of the SPH method jointly developed by ECN, HydrOcean and NextFlow with an efficient Finite Element method to perform fluid-structure interaction studies and the implementation of waves in the ALE/FEM code Radioss is intended. Also, the results obtained from the high fidelity simulations of helicopters ditching with SPH-flow including additional modeling of waves, ground aerodynamics and handling will be analyzed and exploited for safety improvement by Airbus Helicopters. In addition, Airbus Helicopters will conduct a bibliographic study on waves. This will be used to verify results of the wave capability implemented in Radioss within WP2. Airbus Helicopters will specify cases of helicopter ditching in waves, perform some simulations with Radioss and exploit with HydrOcean all results in waves (including SPH-flow from HydrOcean) in terms of safety improvement. Dassault Aviation is one of the major players in the global aviation industry, with a presence in more than 90 countries across the 5 continents, whose varied activities cover several areas of cutting edge technology. Dassault Aviation's primary vocation is the design, development, production, sale and maintenance of business (FALCON) and military (RAFALE) aircraft. In 2014, the FALCON turnover represented 73% of the overall turnover and 66 new FALCON aircrafts were delivered. In total, Dassault Aviation has sold more than 2,400 FALCON aircrafts of all types over the last 50 years. 95 % of them have been exported (60% of which to the USA). Today, the Dassault Aviation FALCON family in production comprises the FALCON 900LX, the FALCON 2000S, the FALCON 2000LXS and the FALCON 7X, with a new innovative wing design and a fully-digital flight control system (“world first”). Today, more than 2,000 FALCON aircrafts are in service, corresponding to 900 customers. Cumulated FALCON aircraft flights represent 16 million hours. One FALCON takes-off or lands each minute around the world. The FALCON family contributes enormously both to the reputation of European executive aircraft and to the European economy. It contributes to maintaining the industrial base of a European high technology sector. FALCON aircrafts have been developed and produced in European cooperation with partners from Belgium (SABCA), Italy (ALENIA - PIAGGIO) and Greece (Hellenic Aircraft Industries). Many European partners have been involved in the development of the FALCON 7X business jet. The main ones are: Spain (CASA), Netherlands (STORK) and Belgium (SONACA). In October 2013 Dassault Aviation revealed its very new Falcon 5X which offers the largest cabin cross-section for any business jet and the lowest ownership and operating costs in its class. Falcon 5X will be powered by the Silvercrest, a new engine designed by Snecma (Safran group). In May 2014, Dassault also revealed the Falcon 8X, equipped with a new Falcon 7X engine version, an optimized wing, a longer range and a 35% lower fuel consumption in regards to its competitors. It has the longest passenger cabin of all the Falcon family. It performed its maiden flight on the 6th february 2015 and first delivery was performed during the second semester of 2016. Among the numerous FALCON types, Dassault Aviation has developed multirole versions, such as maritime surveillance versions used by the French and the US Coastguards to ensure their coastline security and integrity. Dassault Aviation also leads space activities in the following fields: Aerospace vehicle studies (re-entry vehicles, suborbital vehicles and airborne mini-launchers); Telemetry systems for Ariane, Soyouz and Vega (French Guyana space center); Pyrotechnics: launcher and satellite equipments. Dassault, in particular, participates to the IXV (Intermediate eXperimental Vehicle) programme (shape design, aero/aerothermodynamics and flight tests). The flight test from a Vega took place successfully on the 11th of February 2015. The Research and Development employs nearly one quarter of the company's workforce (about 8,000 people). Fundamental and pre-competitive research is usually carried out in close co-operation with universities, research institutes and other industrial partners via a wide international network. The stress and loads analysis department has been involved in the structure development and substantiation of all FALCON aircrafts, in particular demonstrating compliance to the ditching regulations. Dassault Aviation is also experienced in structural and ditching tests. Moreover, Dassault Aviation actively participated to the EU FP7 SMAES project dedicated to ditching, and is currently involved in the Crashworthiness and Ditching ARAC working Group. Contribute to the development and integration of analytical and numerical methods to predict ditching loads and floatation time. Apply developed methodologies to evaluate at the A/C level their ability to consider various impact conditions, environmental conditions (i.e. sea state), A/C configurations. Support tests activities defining test programs, structures, and analyzing test data.